“Healthcare in America is a for-profit business, and patients are the biggest losers,” say Amerika Now’s first guest this evening, Lee Einer. Lee is a former insurance company employee who worked for roughly 20 years in the medical finance field, employed by both insurance companies and medical providers. Einer gained the reputation as an insurance “hit man” after appearing in Michael Moore’s movie, Sicko, in which he explained the “dirty tricks” used by insurers and medical providers to get out of paying claims and providing necessary life care for patients. Sickened by what he saw, he spent the last seven years of that time blowing the whistle on medical fraud. Since leaving the insurance industry, Lee has worked as a journalist, jeweler, IT technician, and a community organizer. For more information about Lee and to read some of Lee’s investigative reports about the health insurance racket, go to www.honestmedicine.com and look under the Sicko files. PLEASE CALL 800-259-5791 TO SPEAK WITH LEE EINER. “As governments retreat from their previous roles of protecting children from harm at the hands of corporations, we, as a society, increasingly neglect children’s needs, expose them to exploitation, and thus betray what we, as individuals, cherish most in our lives,” says author, filmmaker, and professor of law Joel Bakan, Amerika Now’s guest during the second half of the show. Joel Bakan is Professor of Law at the University of British Columbia. A Rhodes Scholar and former law clerk to Chief Justice Brian Dickson of the Supreme Court of Canada, he holds law degrees from Oxford, Harvard, and Dalhousie Universities. An internationally renowned legal authority, Bakan has written widely on law and its social and economic impacts. He is the author of the critically acclaimed and award-winning book and film, The Corporation, and also of his recently released book, Childhood Under Siege: How Big Business Targets Children. Joel will discuss the astonishingly callous and widespread exploitation of children by profit-seeking corporations as well as society’s shameful failure to protect them. He’ll talk about how corporations pump billions of dollars into rendering parents and governments powerless to shield children from a relentless commercial assault designed solely to exploit their unique needs and vulnerabilities–what the industry refers to as “kid marketing.” Bakan will also discuss the ramifications: The cultivation of compulsive and violent behaviors; how more and more children are taking dangerous psychotropic drugs; children’s chronic health problems are rising dramatically; and how America’s schools are becoming private-sector markets for these companies, harnessing education to the needs of industry and promoting increasingly regimented and standardized learning. Joel is the father of two children and is married to Canadian actress and singer, Rebecca Jenkins. 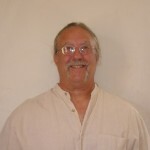 For more information about Joel Bakan, please visit his website at http://www.joelbakan.com. And you can check out the trailer about his book at www.simonandschuster.com/multimedia?video=1054911241001. PLEASE CALL 800-259-5791 TO SPEAK WITH JOEL BAKAN.